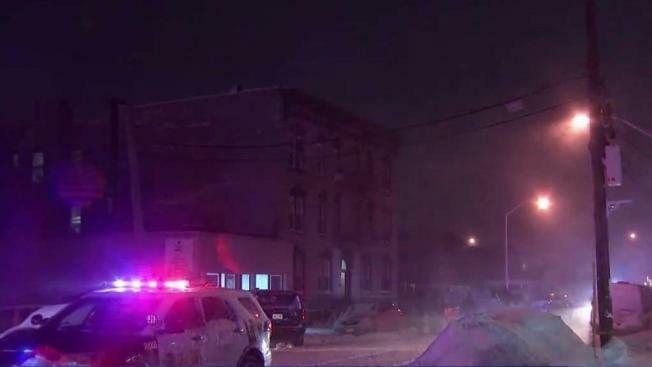 A New Jersey building owner told News 4 New York a blockage in a building chimney caused carbon monoxide to fill an apartment building, sickening 41 and leaving a girl dead. Marc Santia reports. 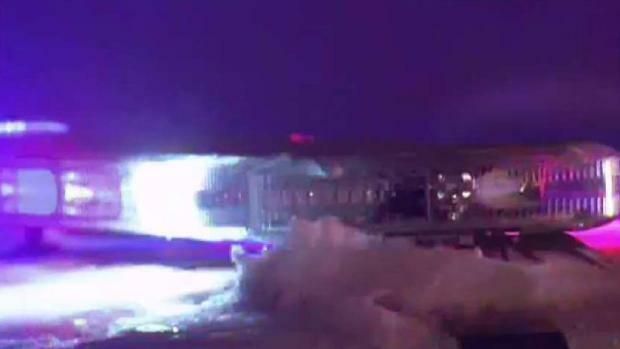 A teenager was killed and 41 others were sickened by carbon monoxide at a New Jersey apartment building amid Thursday's blizzard conditions, authorities said. Three relatives of the 13-year-old girl killed, a man in his 40s, a 21-year-old woman and a 14-year-old girl, remain in critical condition after the exposure at the 12-unit building on Fayette Street in Perth Amboy, which officials said was reported around 4 p.m. Among those treated for carbon monoxide poisoning were 27 police officers -- roughly 20 percent of the police force. Authorities said they initially got a call about an unconscious person; when they arrived, they found several people in cardiac arrest. A teenager was killed and 41 others were sickened by carbon monoxide at a New Jersey apartment building, authorities say. Ray Villeda reports. "We immediately knew it was some sort of toxin," said Perth Amboy Deputy Police Chief Larry Cattano. The building was immediately evacuated after they got on scene. Some evacuees were taken to an apartment across the street as authorities tried to figure out where the leak was coming from. Among the evacuees was Marbella Morales, who said she was alerted to the situation by a ring on her doorbell. She said she was rushed out of the building and saw an unconscious woman being carried out. Authorities said they are looking to see if carbon monoxide detectors in the building worked, and every appliance will be checked for safety. Morales said that her carbon monoxide detector never made a sound. The city is offering shelter to the people displaced by the carbon monoxide.